…about your first time, that is. Cole’s latest album is one of those rare records whose greatest trait is its sheer relatability. 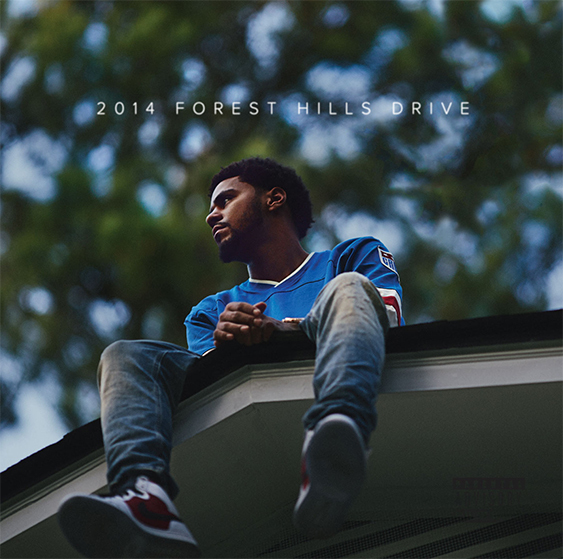 “2014 Forest Hill Drive” is spot-on at capturing the kind of nostalgia only found in early morning car rides around your old hometown. Case in point: “Wet Dreamz,” the third track on the album. “Wet Dreamz” is the alleged story of how J. Cole lost his virginity. The setting is math class with an adolescent Cole and his crush sitting next to him. They flirt, joke around, and pass notes until one day, she invites him over to her place because her parents are gone for the weekend. And boy does that get Cole’s boxers in a bunch. Why? Because Cole’s a virgin and he’d rather turn high-tail and run before he’d ever let this girl know he’s anything short of a pro in bed. What ensues is the flustered scrambling of a teenage virgin-in-denial–and boy, is it fantastic. ole achieves in “Wet Dreamz” is a track that is not only catchy, but funny, sweet, and nostalgic all at once. Maybe that was you once, or maybe you were that girl in math class. It’s relatable, even if the way Cole lost his virginity isn’t the same way you did. If not, maybe you’re more like the girl in math class, and remember the crazy bit of courage it took to send that text or drop the line: Come over to my place. Cole’s story in “Wet Dreamz” is raw and honest and because of that, a little embarrassing. It’s a good kind of embarrassing, though, the kind which brings you closer to that person rather than further. Put simply, it’s endearing. Endearing is really what the entirety of “2014 Forest Hills Drive” is. It’s rare to see a mainstream rapper such as J. Cole throw himself out there as anything short of rough-and-tumble. In this record, though, we see less a rapper and more a man, and moreover, a man who was once a boy.